Jake joined Bison in 2015 as a Project Engineer with the Billings Source Testing group. He has a B.S. in Chemical Engineering from Montana State University in Bozeman. Jake became the Branch Manager for the Billings office in 2016. He oversees stack testing and gas flow monitor (GFM) manufacturing in Billings. 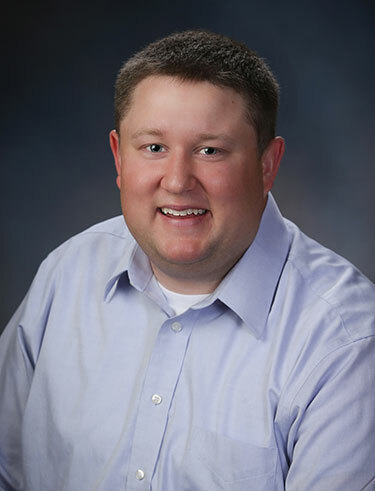 Jake has extensive knowledge and experience in flow measurement and stack emission measurement and calculations. Jake has earned his QSTI (Qualified Stack Test Individual) certification from the Source Evaluation Society (SES). Earning this certification proves Jake’s dedication to quality stack testing services. A QSTI designation certifies that an individual can perform EPA mandated testing methods at the highest level. Previously, Jake worked as an MWD Engineer for Baker Hughes. He spent two years on well sites drilling for natural gas and oil in WY, ND, CO, and TX. A field engineer position with Energy and Environmental Measurement Corporation (EEMC) brought him back to Montana in 2008. Jake was a stack testing project manager for EEMC in Billings until the company was purchased by Bison. Jake has also served on the board of directors for STAC (Stack Testing Accreditation Committee). During his tenure, he helped shape the accreditation system for stack testing companies around the country. Jake is certified in the following: C-STOP, Basic Medic First Aid with CPR, Mine Safety and Health Administration (MSHA) trained, and QSTI certification in Groups I, II, III and IV SES. When not working, Jake enjoys spending time with his wife and young son. Some of his favorite hobbies are camping, hunting, and fishing.